5. 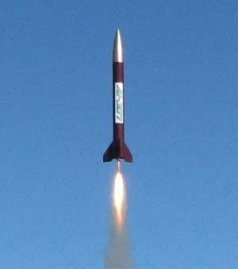 QRP Labs kits in model rocketry! The US will soon receive new band allocations for 630m and 2200m. 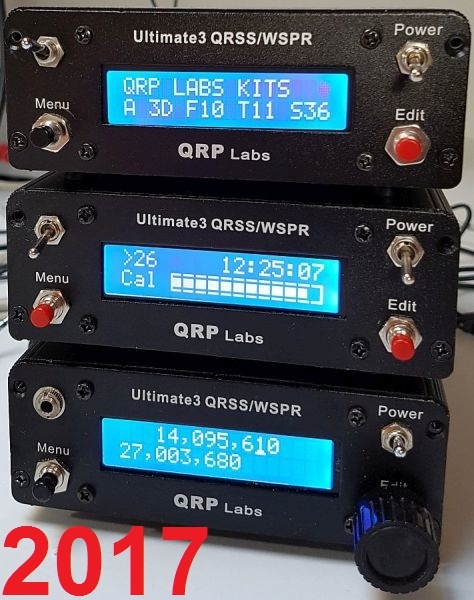 To celebrate, QRP Labs is offering the 630m and 2200m versions of the Ultimate3S kit for the discounted price of $25 (normal price is $33.80 for the LF options and $33 for the HF/VHF versions). This offer is open to everyone globally, not just US amateurs. It will run through the whole of April 2017. When you purchase the Ultimate3S kit in the QRP Labs shop at http://shop.qrp-labs.com/U3S and select the "630m Special Offer" or "2200m Special Offer" LPF options, the discounted price of $25 is automatically be applied. The 630/2200m Ultimate3S kit is already successfully used by many radio amateurs globally, in countries where these bands are already available, as well as the special LF US license holders. 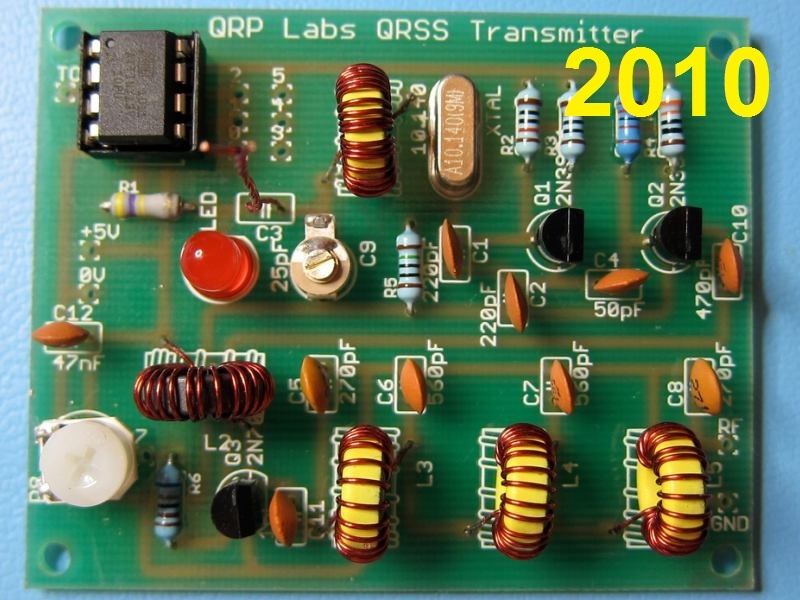 Following on from the work of Ken G4APB, Tor SM6FWF, Rick NM3G and Lucci 9A1Z, the popular QRP Labs Low Pass Filter kits are now available in three new versions: 4m, 2m and 222MHz. The 2m and 222MHz filters use the same kit, just with a different number of inductor turns. They use air-cored inductors rather than the toroids in the rest of the Low Pass Filter kits. The Si5351A Synth module in the Ultimate3S transmitter kit works up to well above 222MHz, and operation has already been proven on this band, as well as 2m and 4m. The power output of the Ultimate3S transmitter kit does fall off considerably at VHF. For example 17mW output was measured here in the lab on 2m. 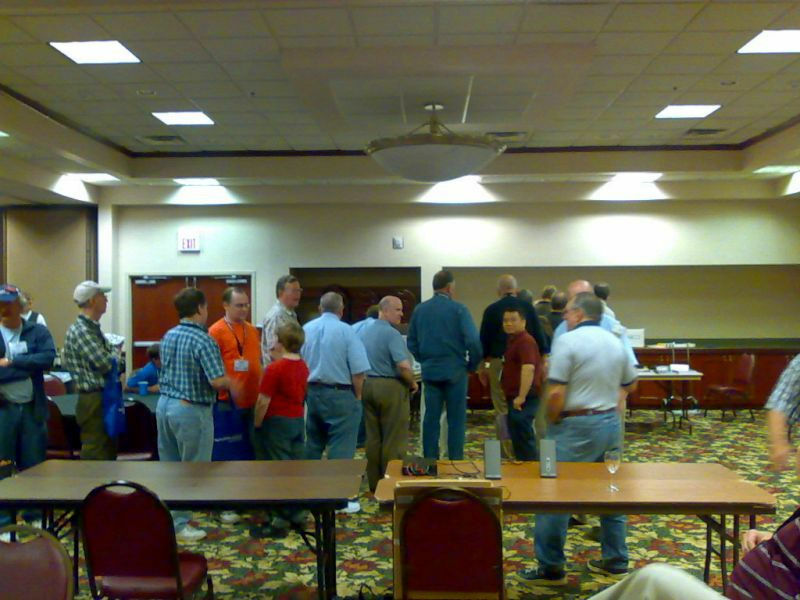 The Dayton "Four Days In May" QRP convention runs in parallel with the famous Dayton Hamvention each year (the largest hamfest in the world). This year QRP Labs will be at FDIM and will have a table at vendor night, 18-May-2017. So if you are attending FDIM and want to stock up on some QRP Labs goodies, stop by! 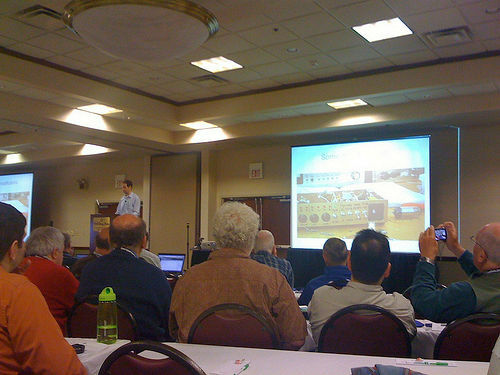 If you are attending Dayton or FDIM let's try and have an eyeball QSO, I always like to meet QRP Labbers! If you are only going to the main hamvention not FDIM, send an email and we can surely arrange something. Below left: The QRSS presentation at FDIM 2010; below right: the line of people wanting to buy the kit continued, even after other vendors had cleared their table away! Each ATtiny13 microcontroller was individually programmed with the owner's callsign right there and then at the table - a process that only took a minute or two... but 100 times a minute or two all adds up, and the line moved slowly! 7 years of evolution! Below left: the original 30m QRP Labs QRSS transmitter kit; below right: a selection of some of the QRP Labs kits now available, including Clock kit (top), Ultimate3S transmitter kit (center) and VFO/SigGen kit (bottom), all in the QRP Labs Ultimate3 enclosure (other enclosure variants now available to suit Clock and VFO kits). Continuing the list of less usual places that QRP Labs kits end up being used, Dave VE3OOI reports that (as well as other homebrew radio projects), he uses the QRP Labs LPF kit in his high altitude rocket beacons. He says "Your filters are perfect size for projects……sturdy too for high G flights (once you hot glue the toroids)." Dave has the LOC IV rocket made by Apogee Rockets https://www.apogeerockets.com/, it is 47.74" long (121cm) and 4" diameter (10cm). See also this YouTube video https://www.youtube.com/watch?v=FTsEwrYjyFI (some of Dave's club’s launches…you can see his LOC IV launch). Model Rocketry is a hobby I know absolutely nothing about so it was fascinating viewing some of the YouTube videos and websites to learn a bit more! On 14-Apr-2017, Ken G4APB reports sending 4m WSPR copied by G4FKK, AND transmitting 4m WSPR received by G4FKK. To use the receiver kit on the 4m (70MHz) it is necessary to drive it with a quadrature LO. As reported last month, the new VFO kit firmware version s1.04 has a quadrature output mode in which the Si5351A synth Clk0 and Clk1 outputs may be set with 90-degree phase offset. It is necessary to drive the FST3253 quad switch in the receiver kit directly with this quadrature signal, rather than use the onboard 74AC74 divide-by-4 counter, since 4x 70MHz is 280MHz which is way above the maximum frequency of the 74AC74 (and possibly too high for the Si5351A synth too). 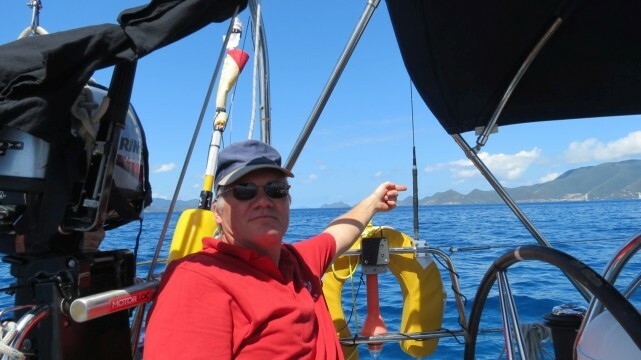 Bob ZL1RS reports that as of 26-Apr-2017 his ocean floater has been in the South Pacific for 343 days! Just over 3 weeks to go and this epic voyage will exceed 1 year. The ocean floater buoy has now cleared the reef system off the northern tip of New Caledonia, somehow managing to avoid destruction in the reefs. The current position is RG93SQ. The Ultimate3S-based transmitter on board transmits WSPR and JT9 once per hour. 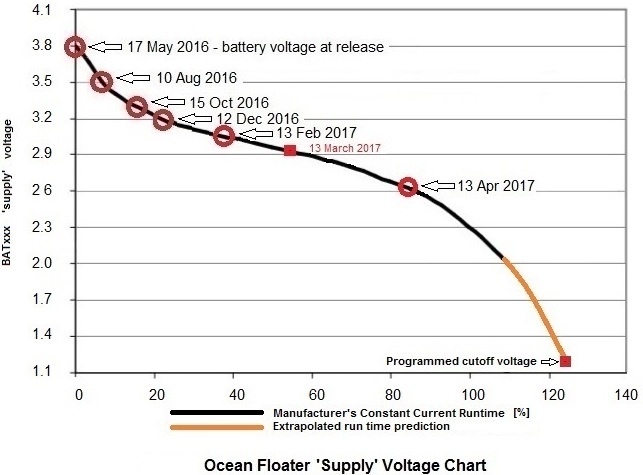 In the last month the ocean floater drifted along the coast of the loyalty islands East of New Caledonia. 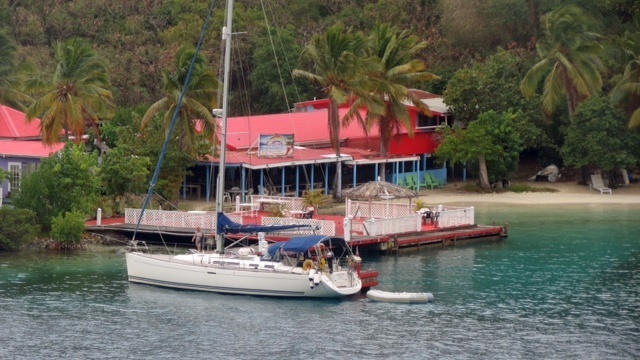 It evidently survived several close-encounters with reefs which could have destroyed it. Jim N2NXZ launched his Ultimate3S-based flight U3S-8 on 14-Apr-2017. It climbed to a nice altitude of 8,520m but the signal was very weak. For the first time Jim is using the same firmware as Dave VE3KCL has been using on his flights. It transmits a second WSPR message containing telemetry: Maidenhead subsquare, ground speed, altitude, battery voltage, temperature and GPS/satellite status. This enables automated map tracking on the QRP Labs website flight page, with 6-character Maidenhead locator. On 25-Apr-2017 there were several reports of U3S-8 by WA7LNW and NO1D, two stations very near the balloon's reported location over Arizona! The reported altitude is a healthy 9,680m. and the balloon heading South East at 30 knots (35mph, 56kph). Considering the lapse of 11 days since launch, and the fact that balloons in the jet stream always travel East, the only viable explanation is that U3S-8 has flown silently almost the whole way around our planet, and come back over the US again! On 26-Apr-2017 U3S-8 was copied by K9AN several times, at 9,580m altitude in Indiana travelling East towards Toronto. This map (right) shows the launch from New York state on 14-Apr-2017, marked by the red line towards the top right of the map; the balloon was at that time moving South-East. The red line over Arizona at the left of the map marks the track as reported by NO1D and WA7LNW on 25-Apr-2017, again heading South-East. It will be very interesting to see if there are any more reports of U3S-8, that would confirm a circumnavigation in the next day or two! Jim N2NXZ launched his Ultimate3S-based flight U3S-9 on 23-Apr-2017. This one uses his "conventional" configuration of a QRP Labs Si5351A Synth board, ATmega328 with the standard Ultimate3S firmware, and uBlox GPS board (see photo, right). This flight used smaller balloons than previous flights, and unfortunately there appears to have been a gas leak. U3S-9 traveled 370km but descended to land somewhere in subsquare FN32KU, which is in the Green Mountain and Finger Lakes are of Vermont. The last report from U3S-9 was on 23-Apr-2017 at 2134Z. Also on 23-Apr-2017, Mikeal SA6BSS launched his Ultimate3S-based balloon flight BSS5. This uses a miniaturised replica of the Ultimate3S. It woke up the following day over Romania, and has been reported on 26-Apr-2017 over Siberia at 9,500m altitude.